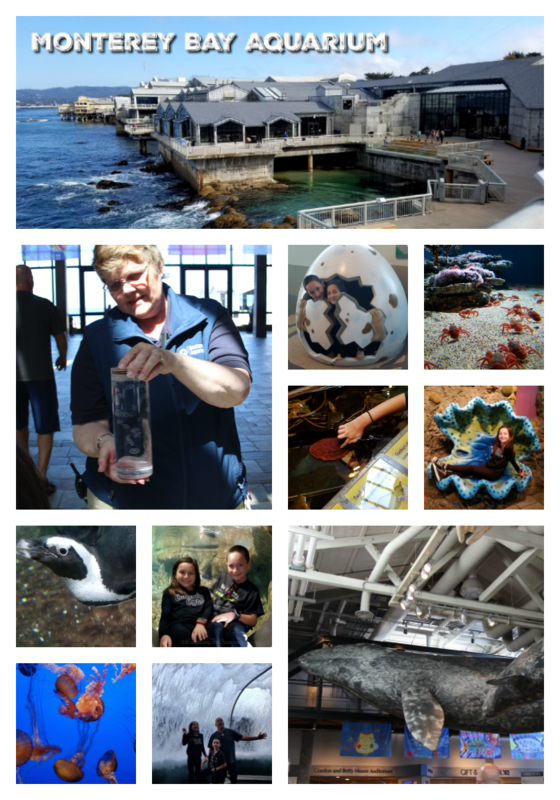 While summer on our summer road trip to Carmel By the Sea and Hofsas House, our vacation package included tickets to explore the Monterey Bay Aquarium on the Monterey Bay Peninsula. 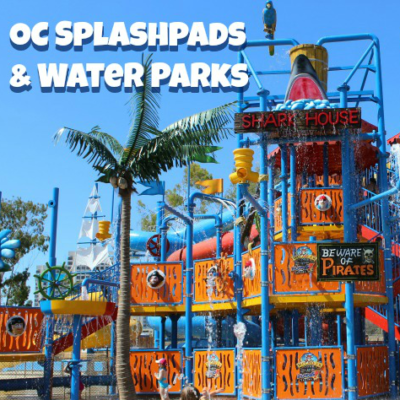 This Aquarium is a showcase for the habitats and sea life of one of the world’s richest marine regions, the California Coast with more than 35,000 creatures representing over 550 species, a window to the wonders of the ocean. 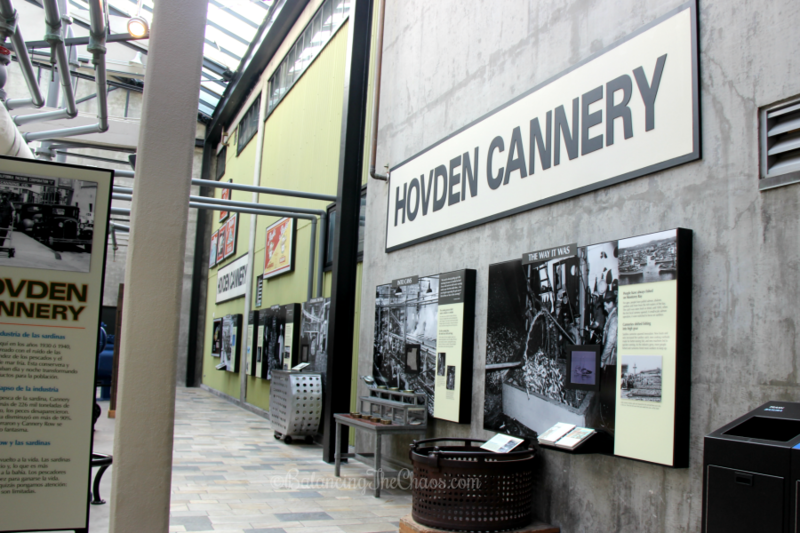 Located along Cannery Row, the Monterey Bay Aquarium emerged from the historic Hovden Cannery, which was fish packing plant built in 1916. 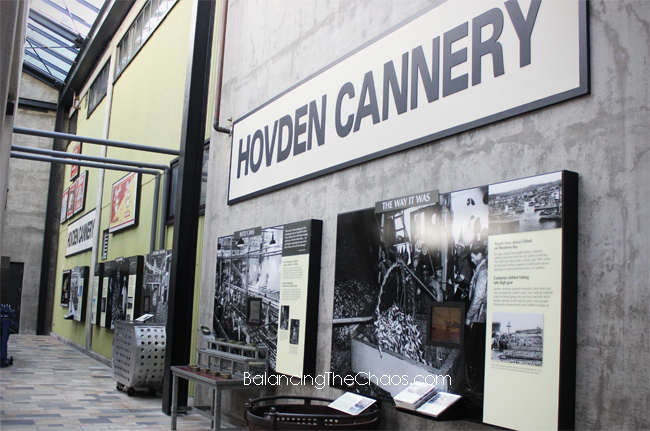 As the last fish packing facility to closed its doors in 1972, was eventually rebuilt into the beautiful Aquarium which opened in 1984. 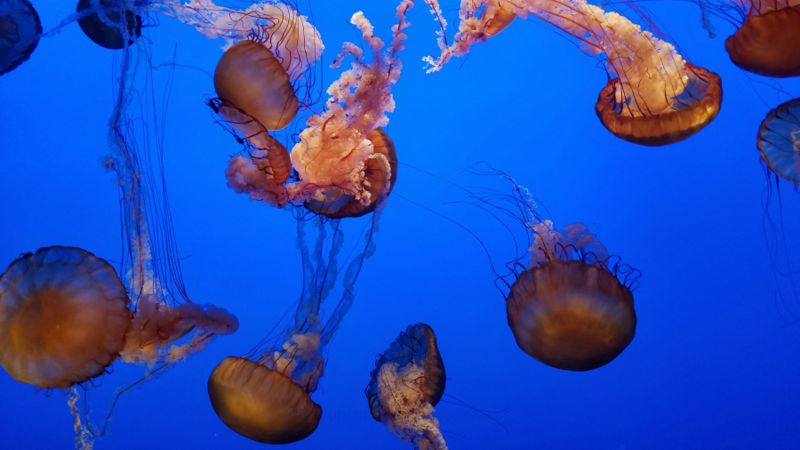 A few of the ongoing conservation programs at the Monterey Bay Aquarium include protecting the sea otters, Pacific bluefin tuna, great white sharks and other threatened ocean animals. As an advocate for sustainable seafood, they have a seafood sushi bar (interactive experience) where digital characters tell you about the importance of sustainable seafood. 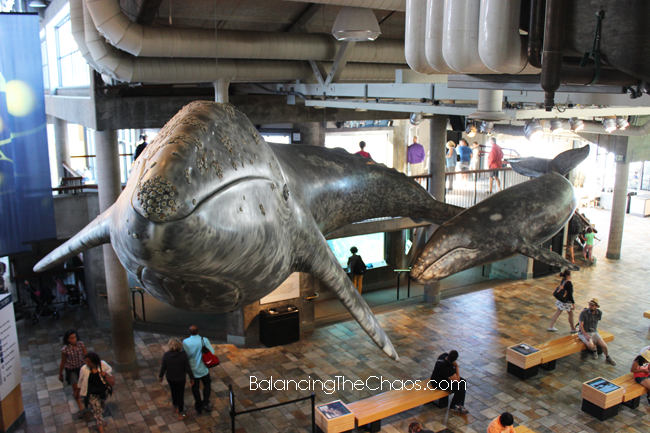 While my husband and I had visited the Monterey Bay Aquarium a few years back, this was our children’s first opportunity to explore the creatures of the deep they have on display. 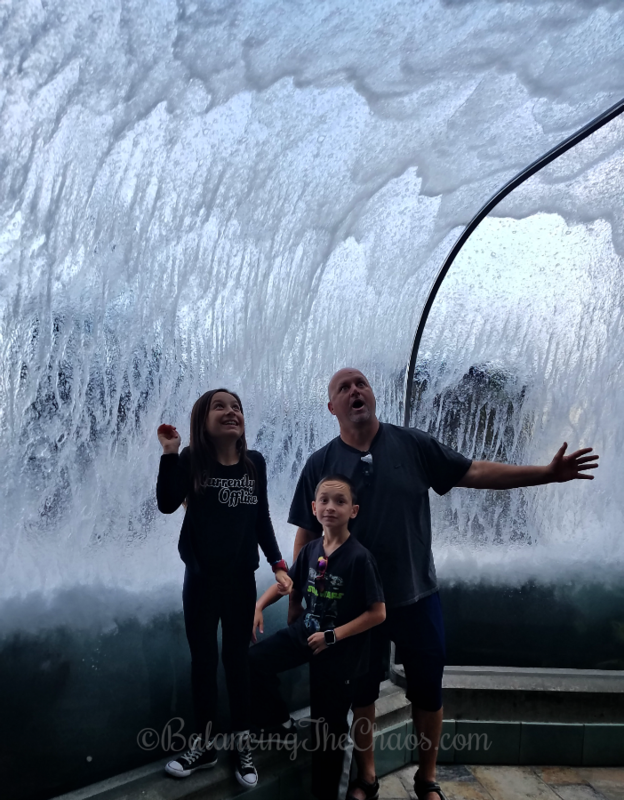 Naturally we let them take the lead as they followed their instincts and discovered the Open Sea exhibit, wandering through the Jelly Fish and explored Viva Baja. 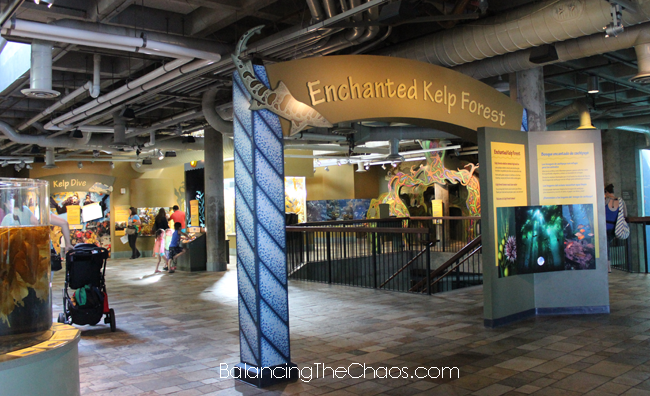 Next, we made our way to the other side of the aquarium and learned about the kelp forest, visited the penguins and played in the play areas we found along the way. 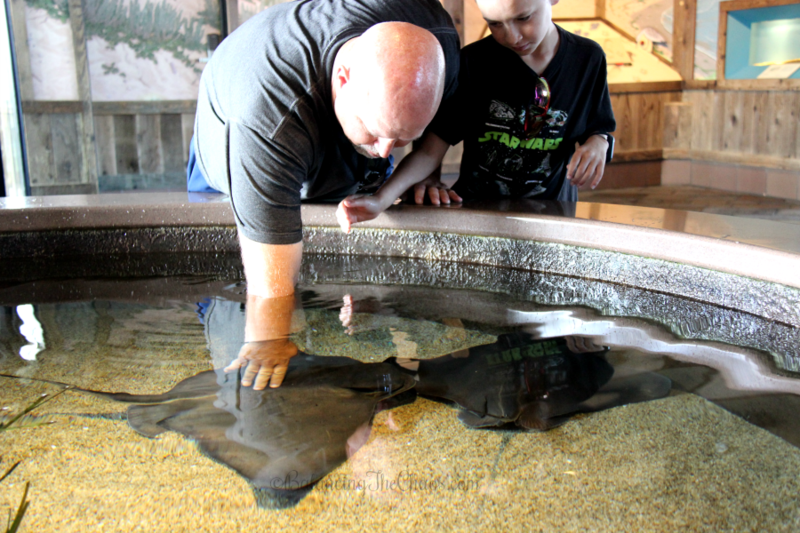 Next we wandered inside to discover my husband and kid’s favorite exhibit, the bat rays. 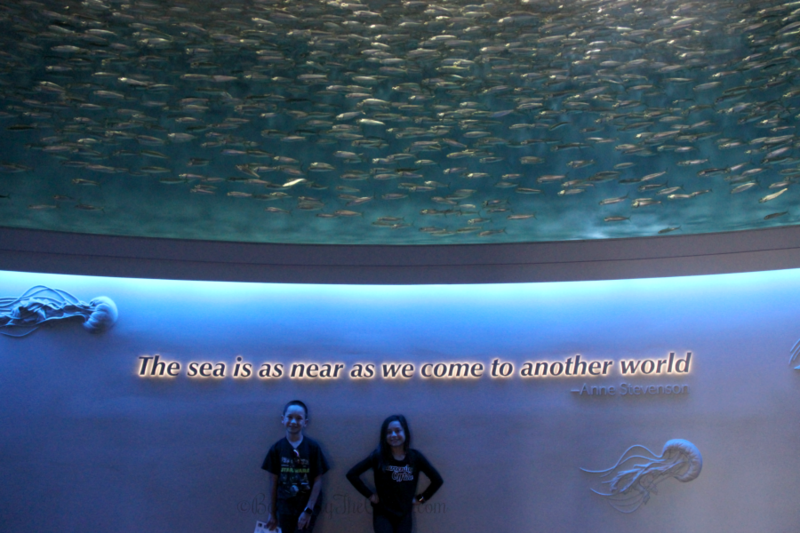 Such amazing creatures, they were able to touch them while they dash across the pool. I loved their enclosures as they gave you the feel like you were out in the wild with them, despite the large glass enclosures. 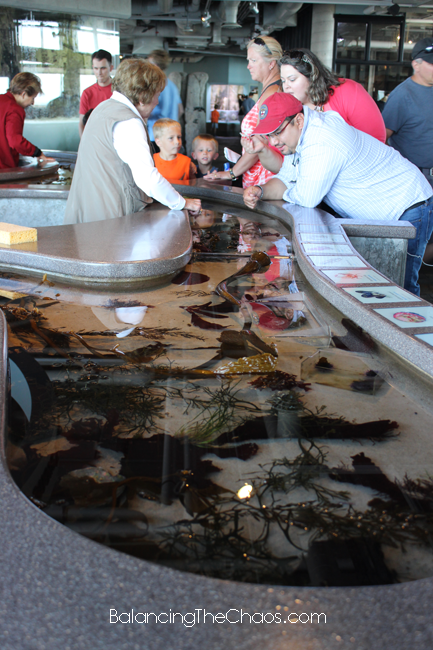 As we’ve seen with our local aquarium, both children and adults flock to the tide pools for a chance to touch a sea star, coral or any other creature on display. 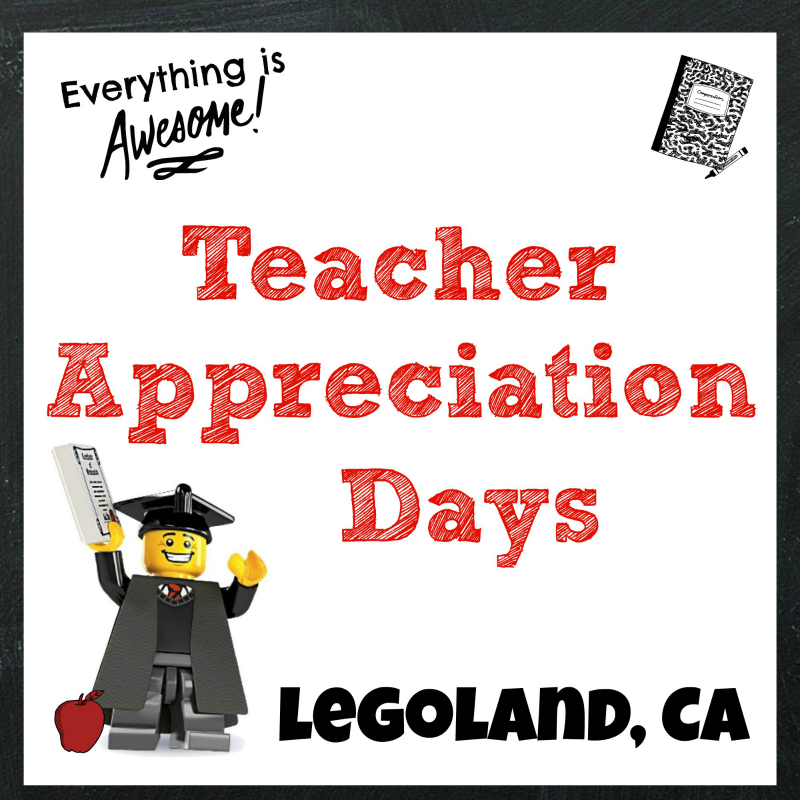 Its also enjoyable to talk to the volunteer staff as they tell you about the creatures they are passionate about. We had one gentleman tell us about one of the beautiful purple sea urchin as we were invited to touch it and feel it’s little suction grippers on our fingers. 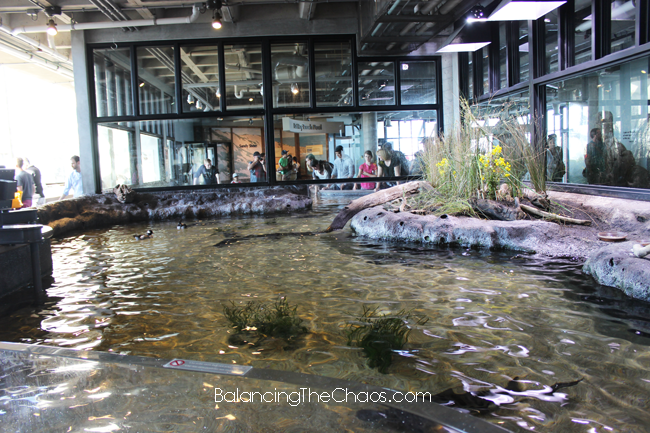 One of the exhibits we were quite fascinated with was the Giant Pacific Octopus. Since he was quite active the day we visited, I wasn’t able to get a very good picture of him. However he was simply beautiful. Watching his tentacles spread out and push himself off the glass was amusing and he did gather quite a crowd. People just HAD to stop and watch as they walked by. 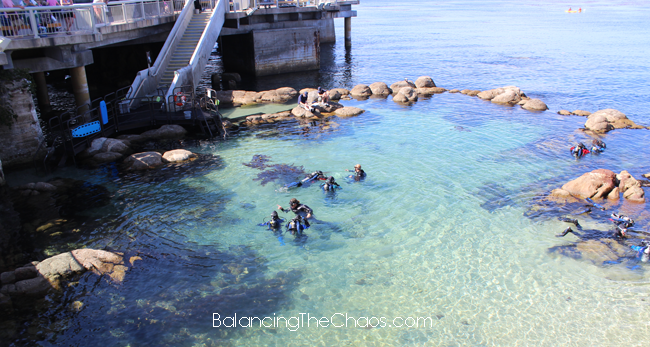 When you visit the Monterey Bay Aquarium, remember to plan ahead. 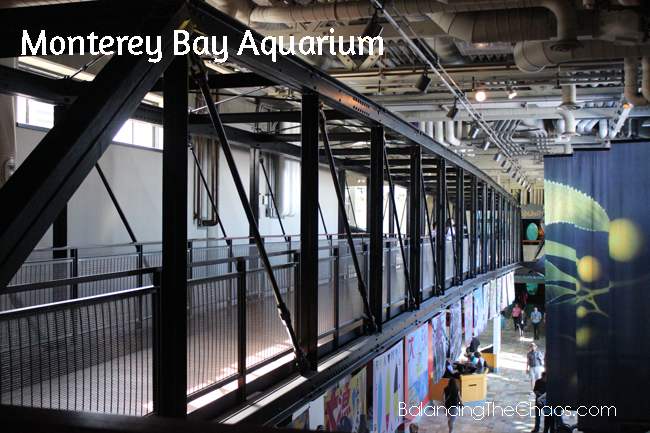 While there is so much to see and do, there are many activities you can plan for by visiting the Monterey Bay Aquarium’s web site: www.montereybayaquarium.org/. 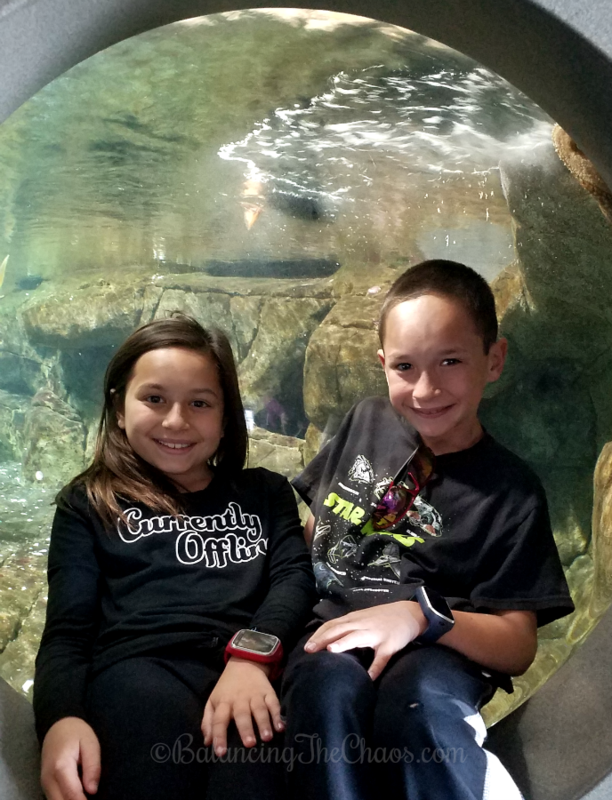 Navigate through “animals and exhibits” where you will find a number of printable activities you can enjoy with the family from scavenger hunts, coloring pages, arts and crafts and so much more. 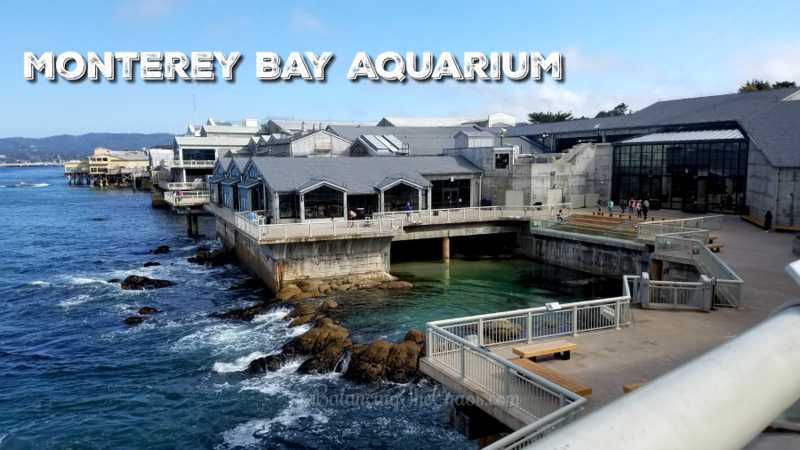 If you plan on visiting the Monterey Bay Aquarium, be sure to check their website: MONTEREY BAY AQUARIUM for an updated list of what exhibits and special features will be available the day of your visit.